Is Apple updating its iPods at last? We haven't seen new iPods from Apple since September 2012, which would suggest the Cupertino company has just about given up on the iconic music player that made its name in the portable gadget space. Hold on just one moment though, because images showing iPods in new colours have been spotted lurking in the code for iTunes 12.2, pushed out this week alongside the launch of Apple Music. 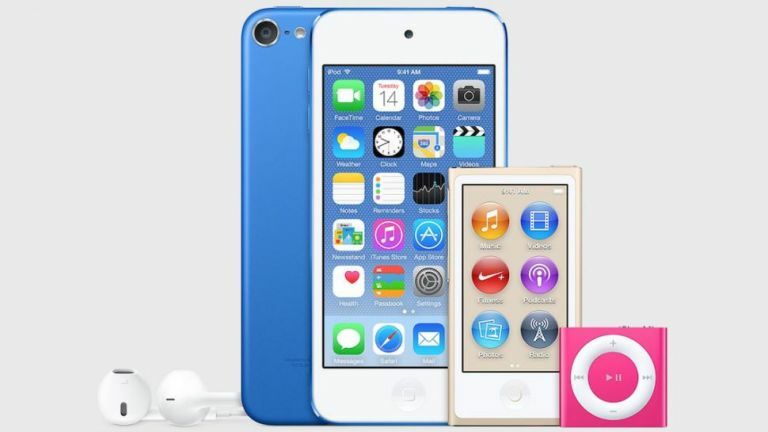 Gold, dark blue and dark pink shades are shown for all three iPods: the iPod Shuffle, iPod Nano and iPod Touch. None of the gadgets look to have been upgraded significantly as far as looks or design are concerned. Now this may just been an Apple designer getting creative with Photoshop, but SlashGear reports that new iPods are indeed arriving with upgraded internals and less on-board storage on 14 July. Apparently, Apple Music is the reason, and it would make sense for Apple to want to upgrade all its devices to support the new streaming service. With drops in storage capacity (as we're all streaming most of our music now anyway) these new devices could be positioned as cheap alternatives to the iPhone. They might also tempt users who want a dedicated jukebox device. Until there's official word from Apple we won't know for sure, but keep your eyes peeled - it sounds like the Apple Music aftershocks haven't quite finished yet. Check out everything we know about the iPhone 6S.